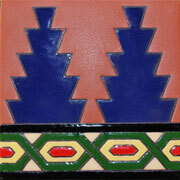 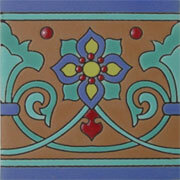 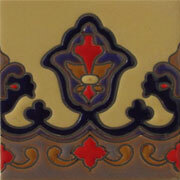 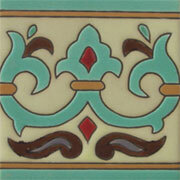 The Malibu tiles border design from MEXICAN TILES FOR SALE are completely handmade, handcrafted and decorated by hand using an ancient method called Cuerda Seca. 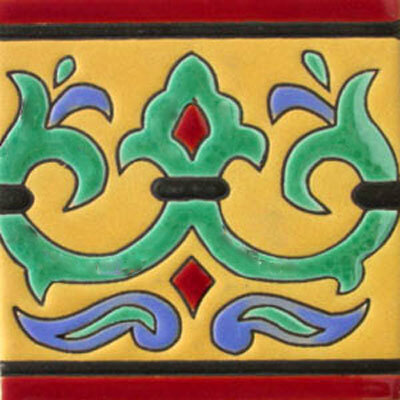 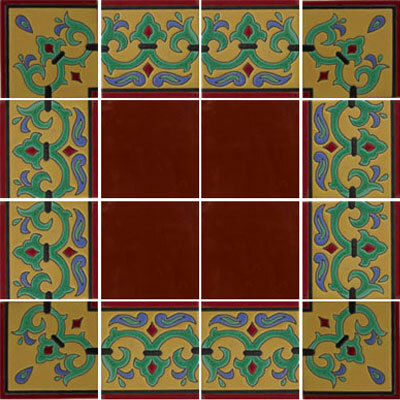 The malibu tiles border design are ideal to make a beautiful murals you can mix the malibu tiles or another talavera tiles with tiles border design to create shapes and drawings in the decoration of your house. 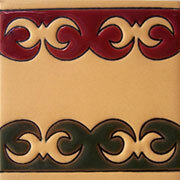 These malibu tiles border design are high end and lead free you can use them in any place or area of your house including the floor or a pool.